Rock climber, journalist and former editor of Climbing magazine Matt Samet didn’t expect to become a writer. He originally started out studying geology at UC Boulder, but eventually switched to journalism. After graduating, he moved to Italy where he traveled Europe, reporting on the World Cup and sport climbing. Throughout it all, he battled an addiction to prescription drugs, which doctors had prescribed to him to help him cope with anxiety. The drugs affected his focus and vocabulary recall. He said his addiction hindered his writing ability because he couldn’t think coherently when he was coming off of them. Author John Long, on the other hand, had his own high: free soloing. Often credited for popularizing the form of climbing, Long pursued dangerous climbs in an effort to feel alive. Long documented his free soloing experiences in one of his most prized pieces, the Stonemasters. The book depicts the dangerous climbs of famous adventurers in the 1970s. Published in 2009, the work took the Banff Film and Book Festival’s Grand Prize in 2010. Unlike Samet, Long comes from strictly a literary background, rather than a journalistic one. That’s never stopped him, however, from filling even his fictional tales with very real stories. Long modestly credits his success as an author, as well as his free solo legacy, to the small amount of competition. He believes that because there weren’t many writing about climbing, and virtually none about soloing at the time, his work quickly rose to the top. Because of its small size, some question the quality of writing within the climbing community. While Long believes that quality adventure writing does exist, he doesn’t think that there’s an overwhelming amount of it. Samet believes that it’s less rare to have both a strong climber and a talented writer. He knows many outdoor writers who are also trained journalists. While his earlier work leans toward more technical writing for engaged climbers, Long’s most recent pieces strive to capture adventurous stories that even non-rock climbing readers would appreciate. The transition in his work is tied to the transition in his own life. These days, many of the people he’s surrounded by are part of the literary world, rather than heavily involved in his sport. “I’m trying to write that stuff for mankind, not a climbing audience,” said Long. Much of Samet’s work continues to cater to the climbing society. Last year, he published a climbing dictionary filled with the sport’s jargon. In Climbing Dictionary: Mountaineering Slang, Terms, Neologisms and Lingo, not only are words and phrases defined, but historical content is also thrown in. For example, for “harness” he examined what climbers did before harnesses and what the first ones looked like. Samet just released a memoir that documents his climbing adventures and battle against his addiction. 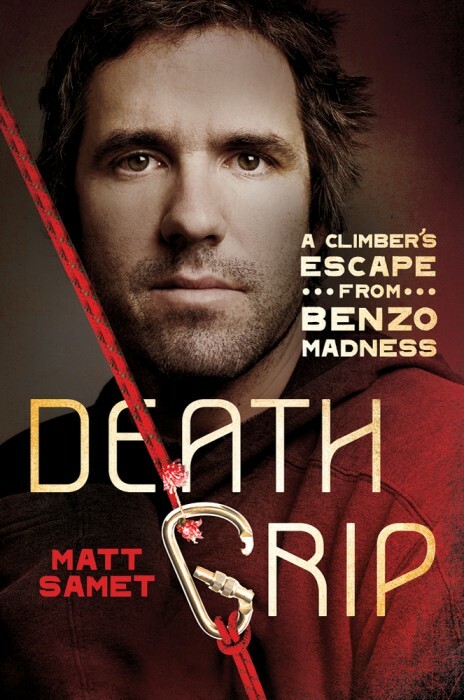 Death Grip, a 300-page book, tells of how the author sought out risk, danger and adventure, while at the same time suffering from anxiety, depression, extreme dieting and a crippling dependency on benzodiazepines.